If you lose your job and with it your job-based health insurance coverage, you may buy an individual plan through the Marketplace. What if I'm losing my job-based health insurance coverage? If you lose your job and with it your job-based health insurance coverage, you may have the option of keeping your health insurance for a limited time through a program called COBRA continuation coverage or you may buy an individual plan through the Marketplace. A Special Enrollment Period (SEP) is a time outside of the Open Enrollment Period (OEP) during which you and your family have a right to sign up for health insurance coverage. In the Marketplace, you generally qualify for a SEP of 60 days following certain life events such as loss of job-based health insurance coverage due to loss of employment. In addition to COBRA and the Marketplace, you also may wish to take this opportunity to talk with a licensed insurance professional, who can review all your options. There are also more affordable options available for healthy individuals that may not need a comprehensive major medical plan that includes all the essential health benefits. A licensed agent will guide you through this process and help you to select the best plan that meets your needs. Average 2019 individual premium for a Silver Plan before the Advanced Premium Tax Credit is $495. If you leave your job for any reason and lose your job-based coverage, you can choose to buy coverage from the Marketplace. This is true even if you leave your job outside the Marketplace open enrollment period. By using the Marketplace, you’ll learn if you qualify for lower costs on your monthly premiums on private insurance. You could also qualify for lower out-of-pocket costs. Through the Marketplace you’ll also learn if you qualify for free or low-cost coverage from Medicaid or the Children’s Health Insurance Program (CHIP). COBRA premium for a family in 2018 was $19,616 per year or $1,635 per month. You may also be able to keep your job-based plan through COBRA continuation coverage. COBRA is a federal law that may let you pay to keep you and your family on your employee health insurance for a limited time (usually 18 months) after your employment ends or you otherwise lose coverage. If you buy COBRA continuation coverage, you won't be able to get any of the lower costs on premiums and out-of-pocket costs that people may get using the Marketplace. You’d also have to pay the full monthly premium, including any part of the premium that your employer had contributed. Short Term Medical Plans, may be a great fit for Healthy Individuals. Although Short Term health plans do not cover pre-existing conditions or some of the essential health benefits required under the Affordable Care Act (ACA), like wellness, mental illness, or maternity, it remains a much more affordable choice for those who are relatively healthy and looking for more cost effective health insurance. Adding a telemedicine, dental plus vision and hearing, accident, and/or critical illness plan to a short term medical plan will help to cover the out of pocket expenses from an unexpected illness or injury, while saving you up to 75% of the cost of an ACA plan. Although Short Term health plans may not be a good fit for an individual with chronic health issues, it may be just the right plan for healthy individuals looking to save on the high costs and high deductibles associated with an ACA compliant plan. Short Term Medical plans are an affordable way consumers can secure comprehensive health insurance and save money. Depending on the state you reside in, Short Term plans may be available anywhere from 1 month duration up to 364 days. 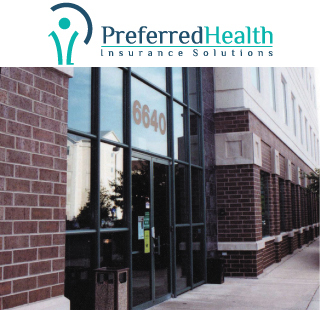 Preferred Health Insurance Solutions will work with you to review your plan options and help you with determining which plan meets your indiviudal health needs and financial situation. 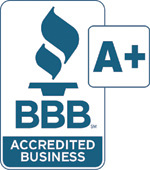 Contact our licensed and CMS certified professionals today at 800-342-0631. Contact us to discuss your COBRA Alternatives! Special enrollment period due to loss of job-based coverage is limited. Call today!